“We have agreed that Roscosmos and NASA will be working together on the program of a future space station," Roscosmos chief Igor Komarov said during a news conference on Saturday. The talks were held at Baikonur cosmodrome in Kazakhstan. The ISS life cycle was to expire in 2020. 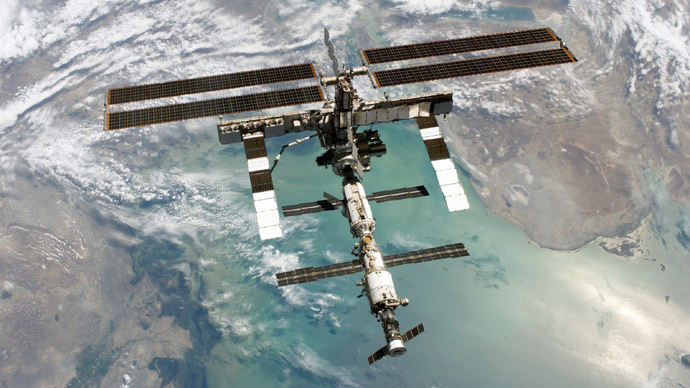 “Under the ISS program the door will be open to other participants,” Komarov told reporters. The next goal for the two agencies is a joint mission to Mars, NASA chief Charles Bolden told journalists. NASA is currently committed to commercializing space activities. “We are consciously moving away from government financing of low-orbit missions,” Bolden said, adding that sometimes NASA “has been criticized” for that. At the same time, he stressed that the US has not abandoned its goal of returning to the moon. In the future, NASA is planning “to attract more private developers to our joint exploration projects of the Moon and Mars,” Bolden said.